In January of 2018, I received contact from Steven Mintz, a minor league pitching coach with the Texas Rangers. Coach Mintz leads a daily Bible study for the Rangers minor league coaches during Spring Training each year and was interested in an original book for use during their study. As a result of those conversations, I wrote Diamond Devotions, Volume 2: Spring Training. It was my privilege to pray for these coaches and lead their study via FaceTime one day. After talking with Steven again this year, I’ve written Diamond Devotions, Volume 4: You Make the Call for them (available for purchase through our site soon!). Additionally, he and the coaches have invited me to bring Baseball Pastor Ministry to them for a few days during this year’s Spring Training in Arizona. What an incredible honor and opportunity for this ministry. My plan is to travel to Arizona, Lord willing, during the first week of March and spend time leading their study for a few days. 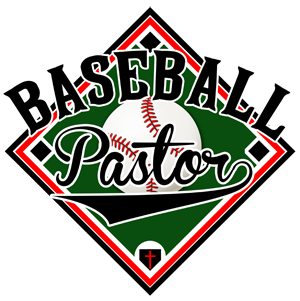 As you may know, Baseball Pastor Ministry is a completely non-profit entity. Along with that, our operating budget is limited to the revenue garnered the sale of the books I’ve written. With that said, we’d like to give our friends and ministry supporters the chance to contribute toward our first mission venture. Our goal is to raise $1,000 by February 20 to make this trip possible. We have already received some very generous donations toward the cost of the flight, but are still looking to cover the costs of lodging, local transportation, food, and distribution of books while on site. If you would prayerfully consider making a donation of any amount, we would be very grateful. Above all, please join us in praying that God would greatly use our time in Arizona ministering to these incredible coaches.